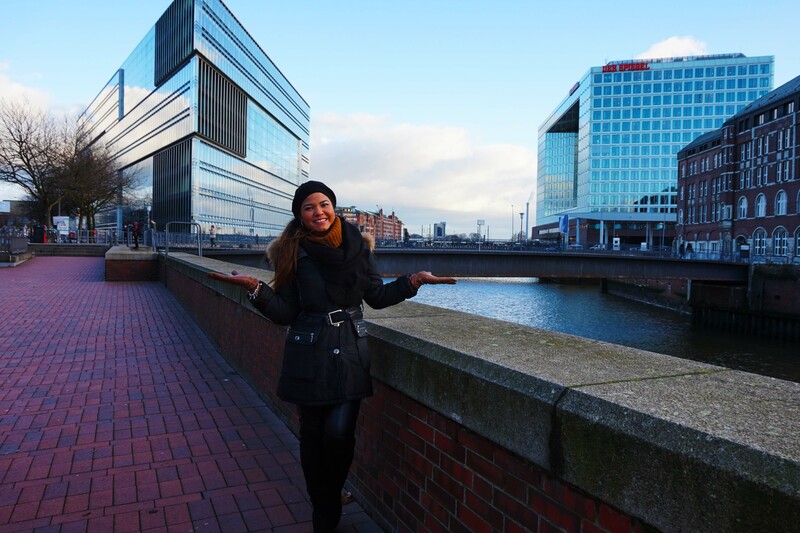 As you may have know from my last blog post (see link), I’ve moved from Madrid to Hamburg. I’ve been really busy the past weeks adjusting to my new life, making new rituals and especially focusing on my new career move. Thank you all for the positive reactions to my last post! Much appreciated!!! 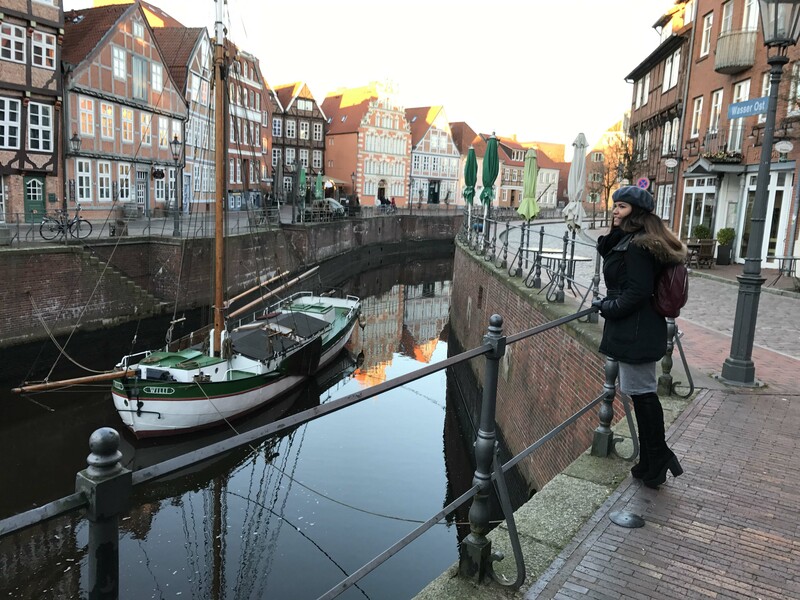 My post of today will cover the places I travelled so far and my first impressions of my new life in Germany. Near the Hafencity of HH Hamburg. To start off, my first month wasn’t bad at all! My German is still a bit sturdy and needs a lot of grammatical work, but in time I’m sure it will improve. The good thing is that I understand the Germans (hihi.. sometimes I do ask them to repeat themselves with “wie bitte?” or “Entschuldigen, kannst das bitte wiederholen.” Overall, I tend to speak and write as much as I can, and watch a lot of movies in German. Furthermore, the weather for me was a big change from Madrid’s sunny weather. Here there are a lot of cloudy days, but not a lot of snow. Being from the Caribbean I’m used to the hot weather, but the last 10 years I’ve very much adapted to the cold European weather. It’s like a mental switch for me.. hihi.. just thinking about the hot weather keeps me warm! Where did I travel in January? The Hanseatic city of Hamburg (HH Hamburg) is my favourite place to explore and especially to get lost. 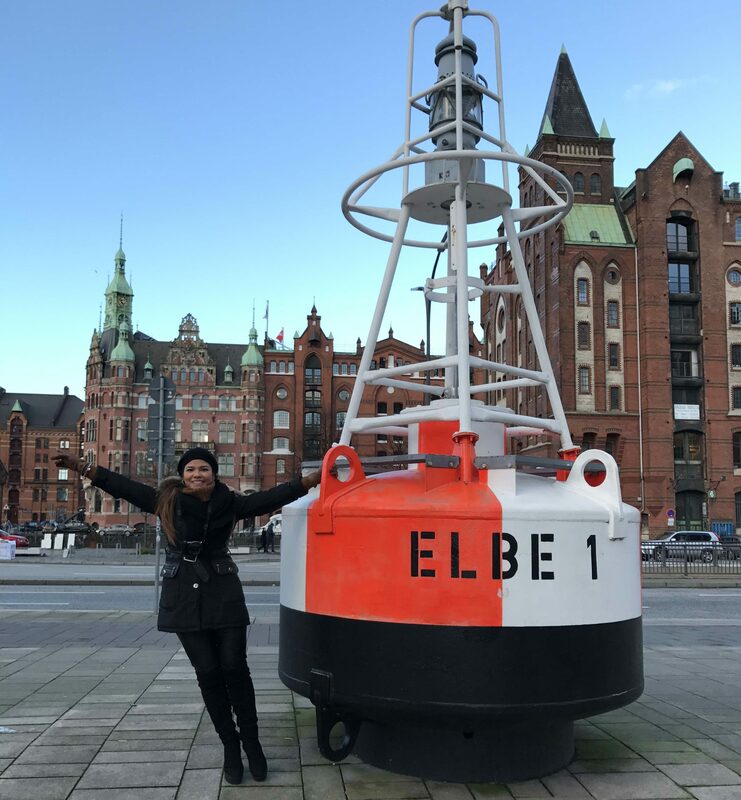 I’ve already found my favourite hangout spots such as the Binnenalster, the Elbphilharmonie, the Speicherstadt, the St.Pauli-Landingsbrücke and especially the port of Hamburg. This city feels so international with many types of cultures and people from all walks of life. I found myself most of the weekends lingering near the port and taking pictures. It’s so amazing to see different types of vessels entering/leaving the port. This is a lovely town in the district of Stade filled with fairy tale stories about the “Hare and the Hedgehog” from the brothers Grimm. You’ll find them standing all over the city. I’m quite amazed by how well-kept this old town is, and especially the Este River gives it an extra charm. The Este River of the old city. At Breite Strasse, the old city of Buxtehude. Rainy, but still able to pose! Just 20 minutes from Buxtehude by car you’ll find a city in the lower Saxony/Elbe River. I’ve come to travel one day to this well-preserved old city. It’s very charming city to explore and admire the facade of the houses near its harbour. Checking out the harbour of Stade at the Wasser Ost. About 45 minutes by train from Hamburg’s Hauptbahnhof you will find a medieval city that has many interesting corners. When you enter the city you’ll need to walk to the Holstentor through its bridge, which is the old gate of the city to experience the magnificent fortitude. This city seemed to be fond of puppets and marzipan. I normally don’t like marzipan, but the one from the brand Niederegger is the best I’ve ever tried! Furthermore to get a 360-degrees view of the city you must go up to the Petri Church. Everyone here is so proper and punctual! Especially the paperwork took less time than when I moved to Spain, because the way they’re organised and how everything is structured. When shopping for stuff, I’ve noticed a lot of “made in Germany” products, which I normally won’t find anywhere else and there so many varieties to choose from. Travelling by train (S-Bahn) or metro (U-Bahn) is very convenient, but be sure to buy your fare tickets in order not to get a fine.. I almost got a €60 fine for not buying a ticket! Phew, I was so glad that I didn’t! People are tempted to do so because they don’t check frequently. It’s tough coming to a new country and finding out what paperwork needs to be done in order to avoid problems or even fines. However, after registration at the town hall I started receiving “surprise letters,” related to social security, taxes and contributions to the church, the German television and radio broadcasting and more. But there was no need to fret, it’s a part of the culture and I just had to accept it. Every country has their own system, but I still personally think Germany tends to be old fashioned (no pun intended!). Near the Speicherstadt of Hamburg, which is Germany’s largest warehouse district. Overall, it’s nice to be living in a different environment and especially being able to learn German. I really like it a lot!! If Hamburg wasn’t so expensive, I’d definitely would see myself living in the city centre. For now the commute is not too bad. In my free time, I spent a lot of time working out (I mostly do Cardio, Pilates and Yoga) or cooking healthy meals. Of course, I try to meet other people in order to socialise and make friends. Yet making friends hasn’t been as easy as in Spain. In the meantime my main focus is definitely succeeding at work, which is a work in progress. Don’t ignore your calling, just shutdown your inner-critic and follow your gut feeling! P.S: Please let me know if you’ve ever been to these places and feel free to share your experiences.